Please allow me to personally welcome you to the Lake Elam Missionary Baptist Church's website. We are excited you are here! I'd like to introduce myself to you. I was born in Birmingham, Alabama. I grew up in a single parent household. However, because of the nurturing, love, and compassion of my dear mother, Mrs. Queen Jeffery; you would never know it. At the age of eight, I was adopted by the late Mr. Billy Jackson. My grandfather, Jimmy King, had three brothers who were preachers and my brother, Rev Robert L. King is also a local pastor. The lovely Dena Jackson has been my bride for 14 years. This union has blessed us with three jewels: Keyana, Lamarius, and Gabrielle. I was baptized at an early age at Mt. Zion Missionary Baptist Church in Elmore, Alabama, under the leadership of Pastor B. E. Moss and preached my first sermon in May 2005. While at Mt. Zion, I served as a youth leader and I have been active with the youth at the Wetumpka YMCA for the last six years. I am a graduate of Wetumpka High School. Higher educational pursuits resulted in an Associate's Degree in Liberal Studies, a Bachelor's Degree in Bible Ministry, and a Master's Degree in Business Leadership and Management. 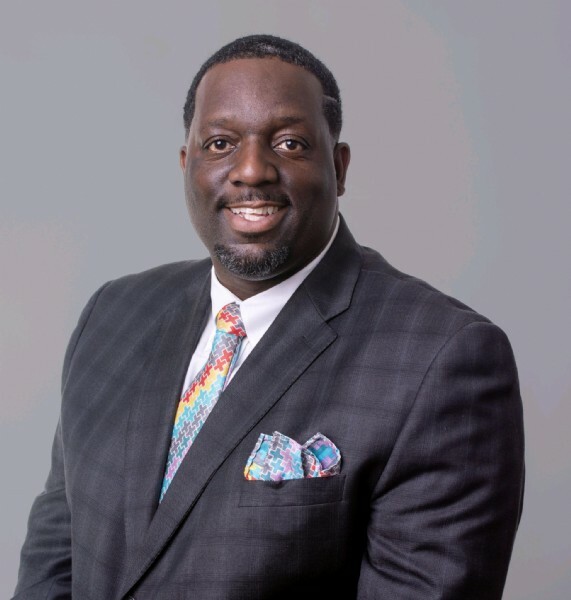 I served as Pastor of Morning Star Baptist Church in Lowndesboro, Alabama, for nine years and it is my great pleasure to serve God as Senior Pastor of Lake Elam Missionary Baptist Church, Millbrook, Alabama. Our church family is composed of some of the friendliest people you would ever hope to meet. We are a Bible-believing, Bible-teaching, Bible-preaching and Kingdom-minded Baptist church. We take seriously our commitment to "Exalt the Savior, Equip the saints, and Evangelize the sinner." Accordingly, we offer numerous opportunities each week for worship, fellowship, discipleship, evangelism and ministry programs for our members, regular attendees and guests to connect with God and other believers, to grow in Christ's likeness, and serve God. We invite you to join us at your earliest opportunity. We look forward to seeing you soon!